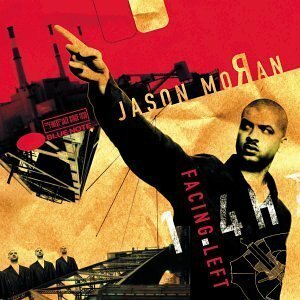 If pianist Jason Moran served notice to the too-easily-satisfied jazz scene with his stunning 1999 debut, Soundtrack to Human Motion, then Facing Left, his remarkable follow-up, is the dynamic delivery of that threat. While ostensibly working within a progressive post-bop tradition, this multitalented protege of saxophonist Greg Osby draws from so many different musical streams, explodes so many tired devices and plays with such focused ambition that it’s not only foolish to try categorizing his work, but it’s impossible not to view him as one of the most striking originals to emerge in jazz in years. With rare technical assurance and a bold sense of vision, Moran has made a record for the ages. Supported with stunning intuition by bassist Tarus Mateen and drummer Nasheet Waits, Moran is a man with a plan; each of the album’s 13 tunes operates with some kind of distinctive agenda or compositional gambit. On Mateen’s Monkish “Another One,” for example, the trio tosses the usual head-solo-solo-head structure out the window in favor of an exhilaratingly organic flow of ideas with all three players constantly injecting ideas; the piece is one long solo, but one that never abandons the loose melodic-harmonic script. On “Thief Without Loot,” which glides along a nice off-kilter funk groove, Moran created the melody by transcribing a Japanese woman’s speech inflectoins. “Murder of Don Fanucci,” music from Francis Ford Coppola’s Godfather II, finds Moran and Mateen playing the melody straight, with an almost leaden gravity, to frame Waits, who shifts his focus with nearly every measure, from staccato patterns that suggest a machine-gun to heavy march rhythms that sound aptly funereal. Whether interpreting Bjork’s lovely “Joga” or Ellington’s “Wig Wise”-a forgotten gem from Money Jungle-one can hear traces of Moran’s mentors-Andrew Hill, Jaki Byard and Muhal Richard Abrams-in the dissonant intervals, the sorrowful sustain and the chunky rhythms, but he’s not biting anyone’s stuff. Facing Left is an instant classic.